Exhilarating 1-week Chamber Music Boot Camp for advanced high school and college students ages 14-22. ​Action-packed 2-week Chamber Music Day Camps for intermediate to advanced students ages 8-18. Students playing at a high level who are committed to an academic year chamber ensemble experience are placed in level and age appropriate trios and quartets with Chamber Ensemble Coachings and Community Performances during the academic year. 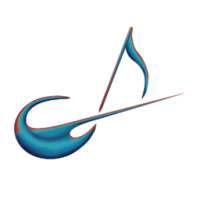 Tuition Assistance is provided, through CMC's Scholarship Fund, to all students with demonstrated need who have been successfully placed in a Chamber Music Central ensemble. 2 Merit Scholarships are awarded each summer in recognition of exemplary musical abilities. All returning students are considered. Our Summer Intern Program gives college music majors and minors experience in the field of music education as they work with faculty in ensemble coaching-rehearsal sessions, theory classes, and managing chamber ensemble concerts. Applicants must be piano, string, or woodwind players with chamber ensemble experience. Submit your contact information to receive Notifications of upcoming Placement Auditions and Registration.